I can’t believe it is April! That means there is exactly 1 month left in this semester and my first year of Medical Physics grad school is over! OMG! I’ll be halfway to graduating! How exciting is that?! But in more health related news, I think we are all feeling a little run down from winter. 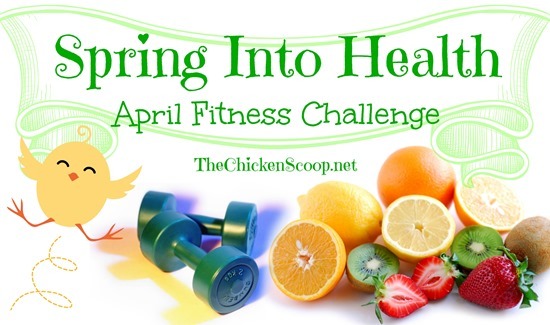 We are all in need of a little refreshing so I decided I would host a little challenge on my Facebook group Fit Chickies. Fit Chickies is a private health and fitness group that is open to both men and women. It is a place of positivity and support for anyone looking to lead a healthy lifestyle. We practice a rational approach to health, fitness, and weight loss – no fad diets, no gimmicks – just good old fashioned healthy eating and exercise. Please feel free to join! So back to my challenge. I wasn’t sure if I would make rules or let people decide their own goals. I hate telling people what to do but there are a few basic “healthy living” things that we should all be doing. Since I’m posting these challenge rules a little late, I will give everyone a free pass if they don’t quite reach today’s. There are 30 days in April. We’ve all been told to get 3-5 sessions of 30 minutes every week. That is a minimum of 13 30-minute sessions for April. I want you to pick your goal number of exercise sessions for this month, but I want it to be a minumum of 13! Having trouble finding the motivation to get moving? Read this article from WebMD to combat the most common excuses! Can’t do 30 minutes at a time? Split it up into 15 minutes each! Just get moving! For those already in a regular exercise schedule, I want you to really challenge yourself – get those workouts in, make sure you are working hard, go for an extra 10 minutes! Jus shoot for no more than 26 intense sessions, allowing yourself at least 1 rest day per week. Most people struggle with getting in enough fruits and vegetables so this month, I want you to get in at least 5 servings of fruits and veggies per day. Yes – Every Day. Actually, this would be too low for me. The CDC recommends for a 29 year old women who gets about less than 30 minutes of activity per day (low for me) to have at least 2.5 cups of veggies per day and 1.5 cups of fruit. Assuming a serving is 1/5 cup, that is 8 servings! So trust me, you can do 5 servings! We’ll assume 1 serving is 1/2 cup. If you are already stellar at eating your freggies, see where you can improve and do it. Cereal for breakfast every day? How about a veggie omelet? Or a baked grapefruit? Push yourself! I want you to take at least one day per week to do something you find relaxing. It can be yoga, meditation, crafts, volunteer, going for a walk, whatever! But I want you to make an effort to get this in at least once per week. Make sure you can concentrate on that activity. No distractions or annoyances. Just do what you love and be happy. Make sure you post your activity to the Facebook group too! Every night, I want you to think back on your day and reflect on how it went well, how you could have done better, what you can do differently next time, etc. This is supposed to be a positive process so really think about what you did well and use lessons from the day to think ahead for the next time you face a challenge, a choice, a dilemma. Jot down little notes in a notebook, on your blog, on the Facebook group, wherever you feel comfortable. Make sure you to look back regularly so you can learn and progress! That’s it! It seems so simple right? But these are things regular people sometimes struggle with – things that seem so simple yet are so hard to accomplish. Throughout the challenge, I will also be posting to the Facebook page little fitness and health challenges to get you motivated. They aren’t required but will be ideas and suggestions if you are stumped one day. Things from workout ideas to healthy recipes! And those people already killing it? 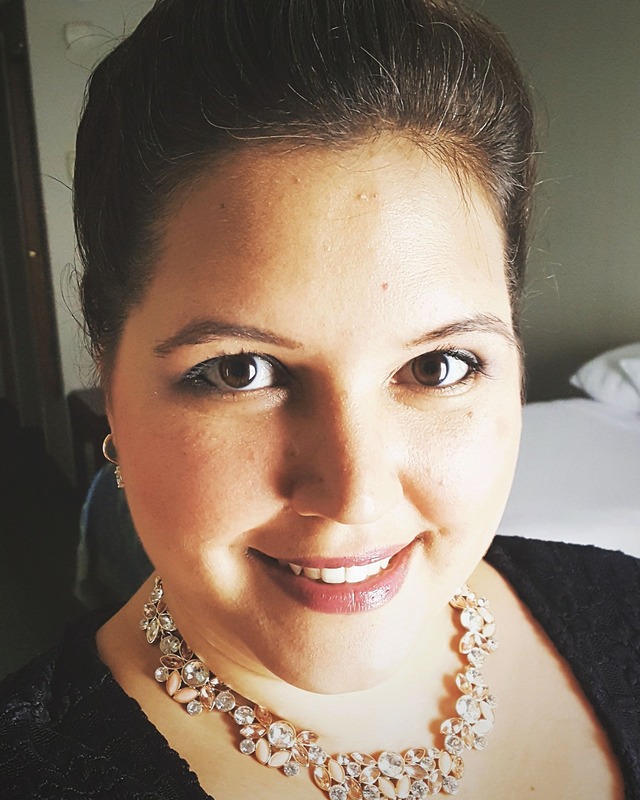 I would love for you to join my challenge! You can push yourself a little harder, reach a little further, really amp it up for just a few weeks. You can motivate others with your drive and determination and find new ideas and inspiration from each other! You’re tellin’ me! Yesterday was crazy. I had oatmeal for breakfast. Then there were free bagels at my morning class. Then free sandwiches from Panera Bread at my noon lecture. And I am not going to pass up free food! My stomach wasn’t much happy about it mid-afternoon though. It was just too much! Oh and the headache and crankiness. Will I ever learn?